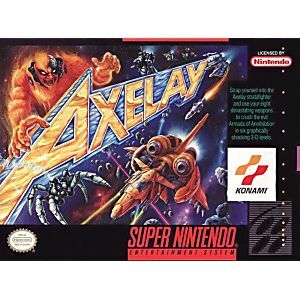 Axelay SNES Super Nintendo Game Cartridge Cleaned Tested and Guaranteed to Work! 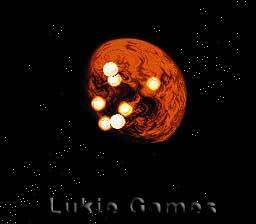 This game like all the games I get from Lukie games looks mint and plays flawlessly. Great graphics and super fun. One of the best smups on the system. This sometimes overlooked gem is not to be missed! 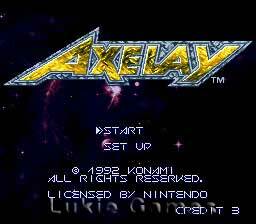 Great Konami-style shooting action with very smooth visuals and funky music. Add vertical and horizontal scrolling levels, (The former featuring lovely Mode-7 effects) and you have something any shooting fan would love. The only problem with this game is that it is short, even for a game of its genre. 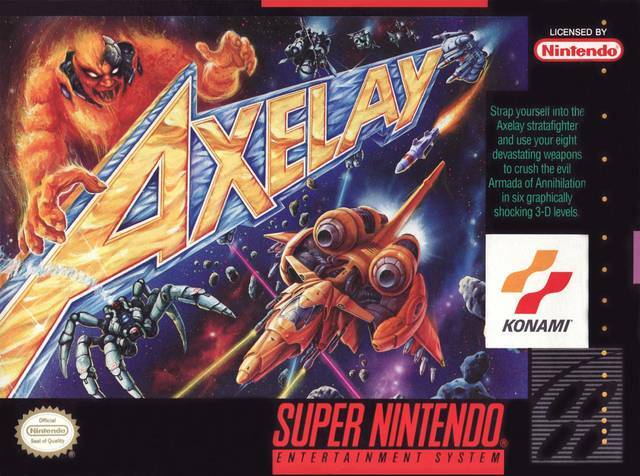 If you like Gradius, or other space shooters, get this game!